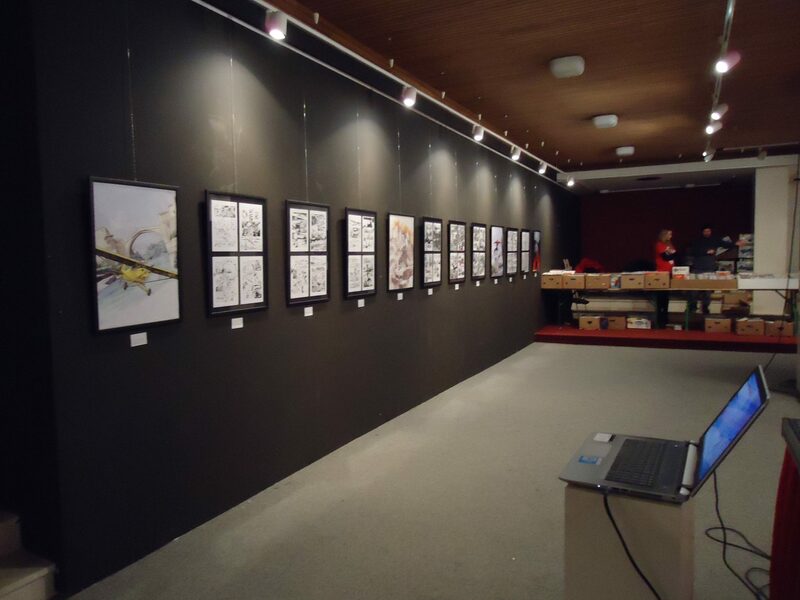 A few weeks back, I had the pleasure to announce the first Mostar comic festival, here. This Friday and Saturday (16th and 17th December 2016), comic fans from the Balkan region stormed to attend the first Mostar comic weekend. 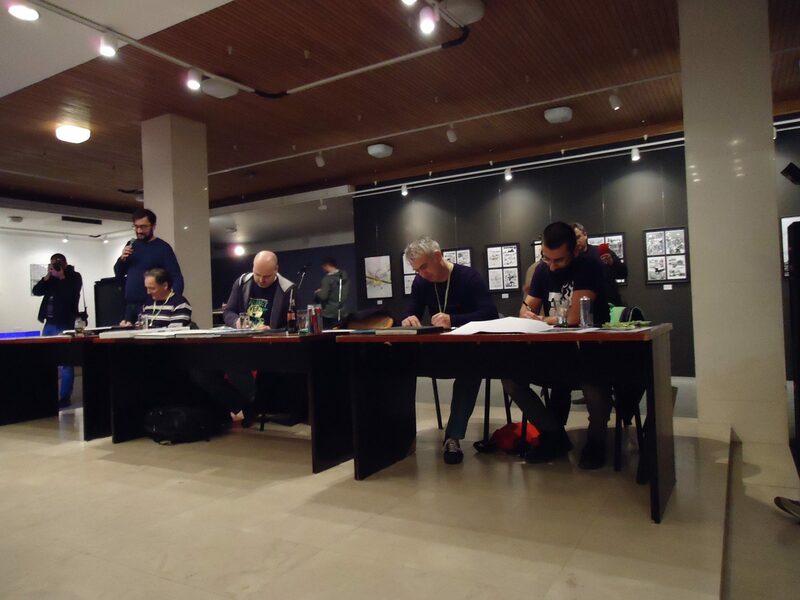 It was organized by Mostrip, organization of comic enthusiasts from Mostar. Mostrip members are: Dubravko Šimić, Alen Mašić, Nikola Knezović, Viktor Mihić, Goran Vukoja, Đani Zovko and Dinko Šuta. Mostrip organization also is the owner of Tarantula comic shop which offers over a thousand comics in their store. Guests of the first festival were: Milorad Vicanović Maza (Laktaši), Dražen Kovačević (Beograd), Enis Čišić (Sarajevo) and Renato Vladimir Renky (Gradac). 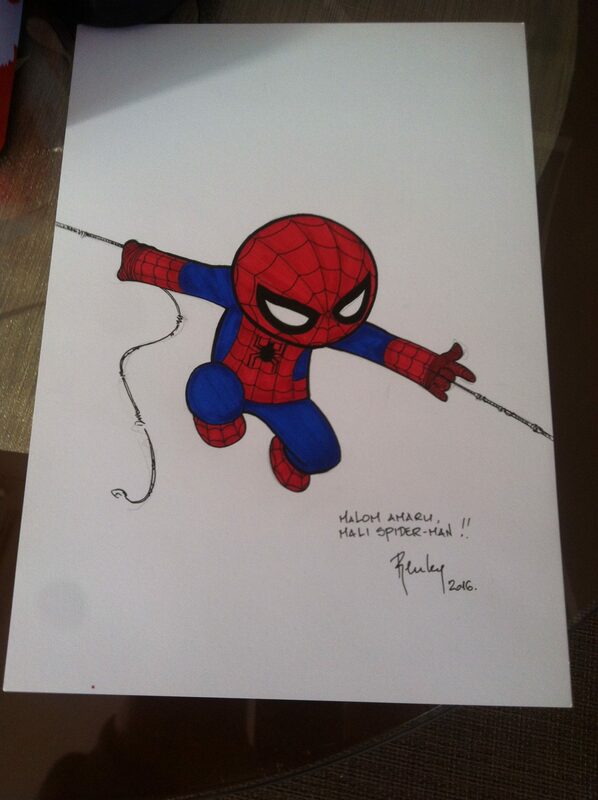 The unofficial opening took place in the first comic shop in Mostar, Tarantula. When the guests, organizers and visitors arrived at the place, there wasn’t much space to move, which states that the interest for this gathering was huge. 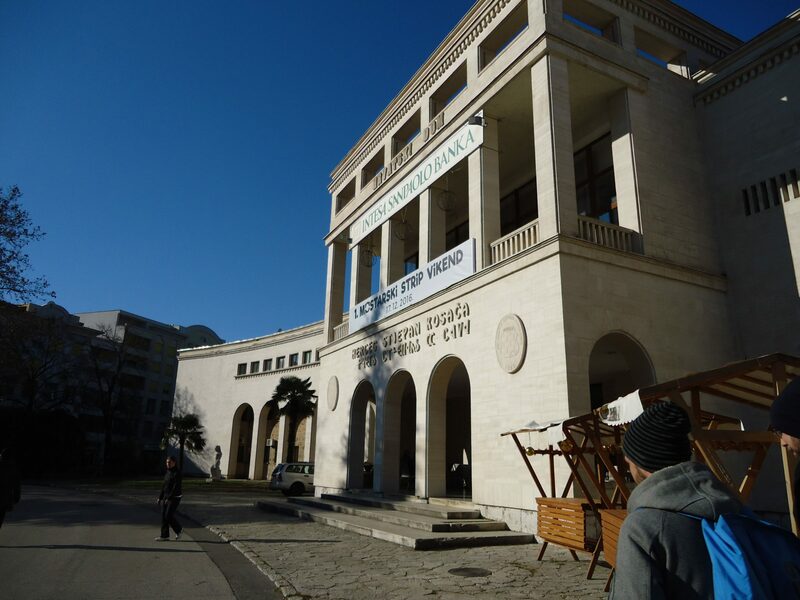 The next day, the festival was officially opened and moved to the bigger venue, culture center Kosača. The place was great, with a lot of room which was packed at the opening of the festival. The exhibition of the guest’s work was set-up and Tarantula provided over a thousand comics in the comic marketplace. Organization Mostrip was also selling shirts, posters and serigraphs (all sold-out at the end!). 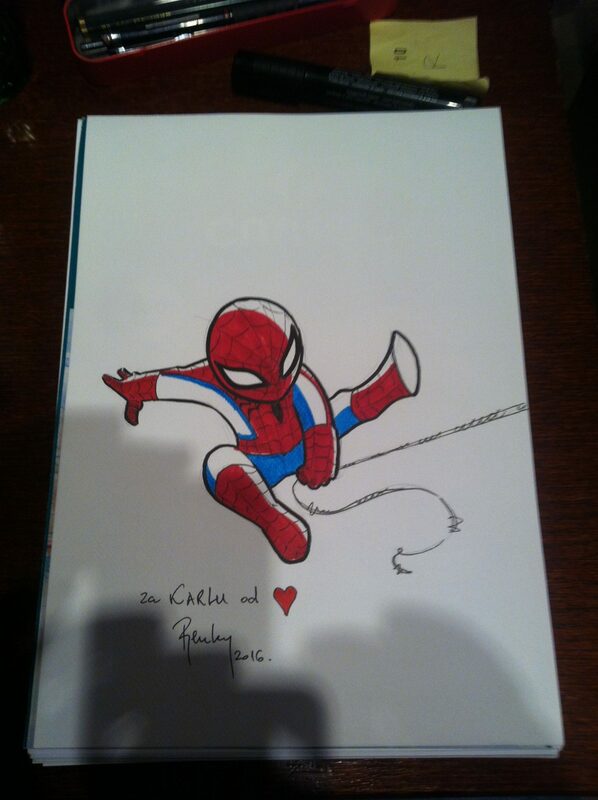 A very nice touch were the comics which were free of charge for the youngest visitors. After the official opening there was a very interesting discussion with with the authors and presentations of Wunderwaffen (Maza) and Valkyrie (Kovačević), followed by signing, drawing on anything the guests could get their hands on. Later on, there was a giveaway lottery for visitors (even yours truly won, so it was not fixed :)). And most importantly, the organizers promised the next one! I am completely biased regarding this festival, since it is in my home county, but Mostrip did something great for comic culture in general. There were a lot of visitors, and most importantly young visitors, which were buying comics, talking to guests about comics and waiting in line for a dedication or drawing. And I gotta be sincere, I did not know that Mostar has so many great comic fans! Thank you Mostrip and see you next year for sure! And for the end, here are a few quick sketches by Renky for the youngest visitors (inspired by Skottie Young). Check out our other photos in our facebook gallery. Super report, nadam se da ce ovaj festival postati tradicija. Nazalost ove godine nisam mogao doci? tako da je svaki clanak o ovome dogadjaju hvale vrijedan. Nedime radis pravu stvar, samo naprijed i nema predaje ? Hvala na podrsci, ekipa iz Mostrip-a je vec najavila bolji i veci festival naredne godine!